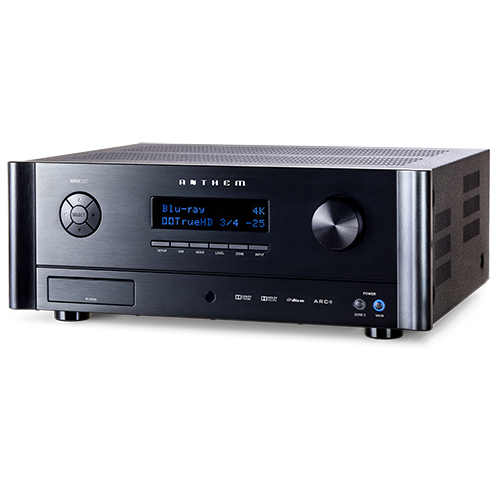 You are: Home / Products / Amplifiers / AV Receiver / Anthem MRX 720 4K surround amp. 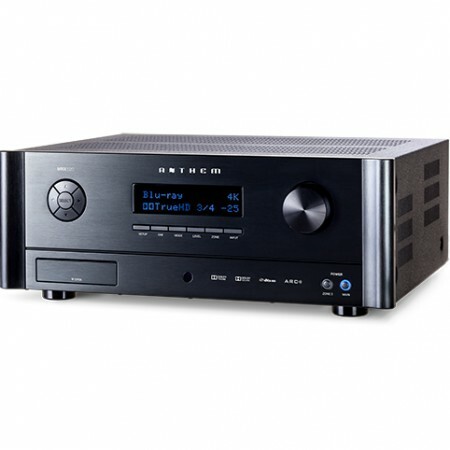 Anthem’s award-winning Third Generation MRX Series of high-end multi-channel A/V receivers are known the world over for their excellent sound quality, efficient power handling, and the ease with which they integrate into an entertainment system. 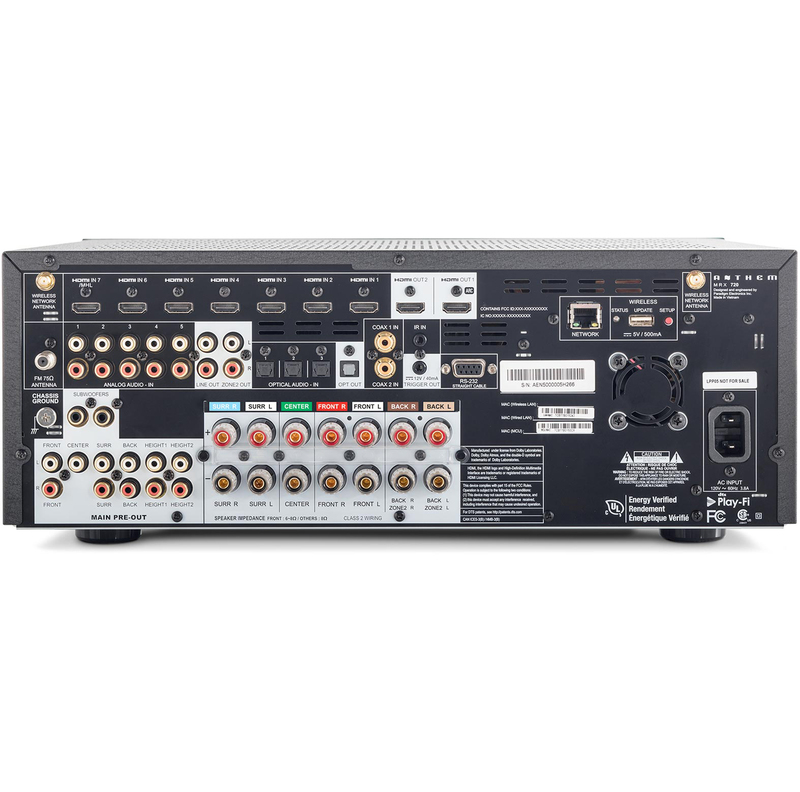 The MRX 720 is packed with exclusive audio innovations like Anthem Room Correction (ARC) Technology and Advanced Load Monitoring (ALM) Technology, 4K Pass-Through with fast HDMI switching and more. The MRX 720 is a genuine audiophile product with blistering sound quality which is a delight when listening to both music and movie soundtracks – come and listen to one in our showroom !